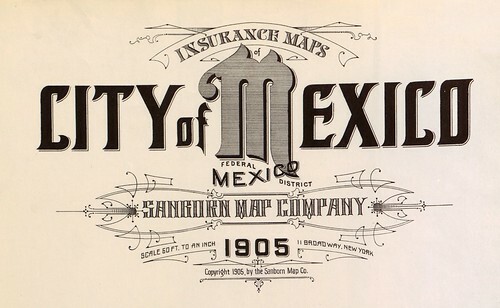 from maps and map publications issued between about 1880 and 1920. 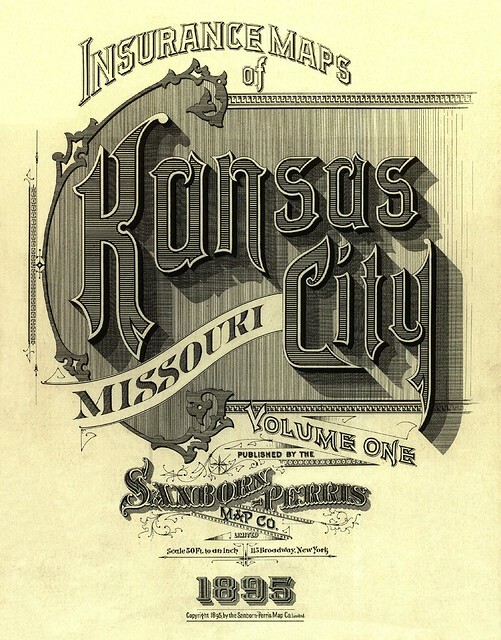 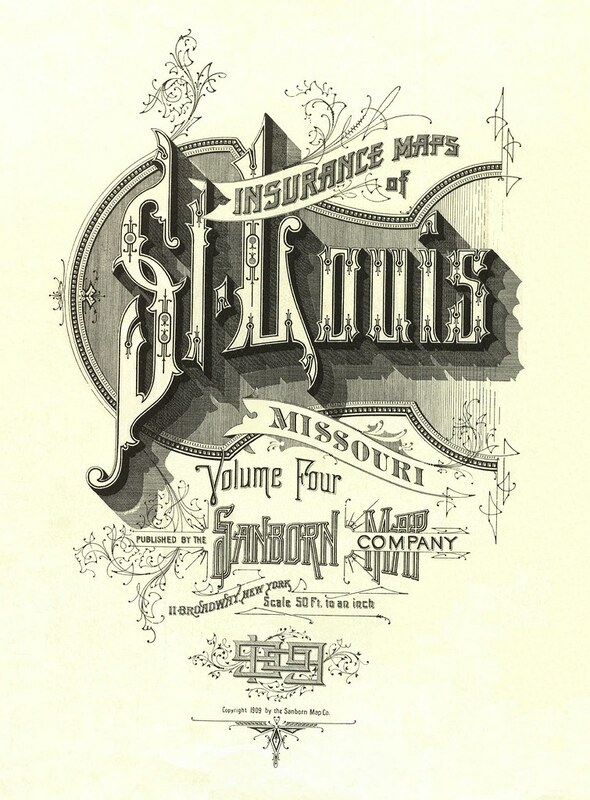 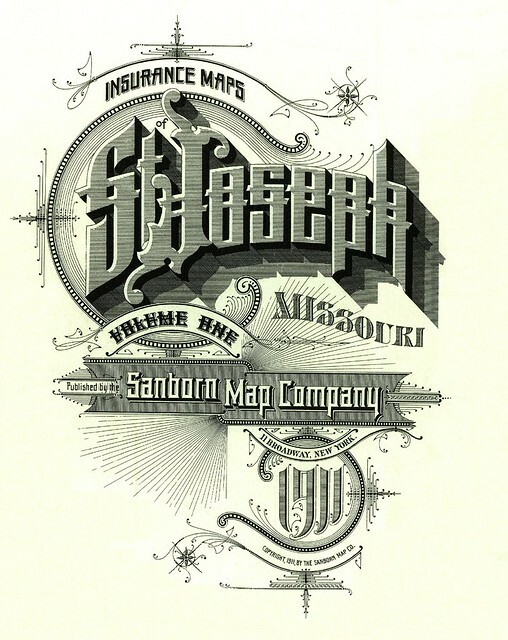 "D. A. Sanborn, a young surveyor from Somerville, Massachusetts, was engaged in 1866 by the Aetna Insurance Company to prepare insurance maps for several cities in Tennessee. 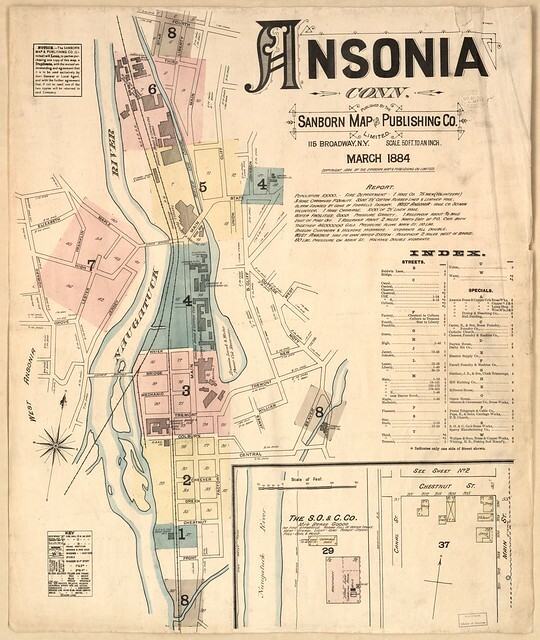 [..] Before working for Aetna, Sanborn conducted surveys and compiled an atlas of the city of Boston titled 'Insurance Map of Boston, Volume 1, 1867'. 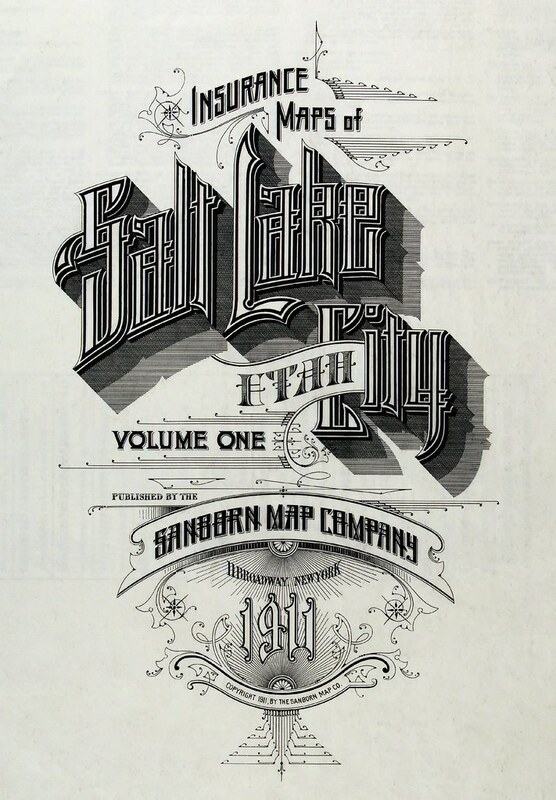 [..] The atlas includes twenty-nine large plates showing sections of Boston at the scale of 50 feet to an inch. 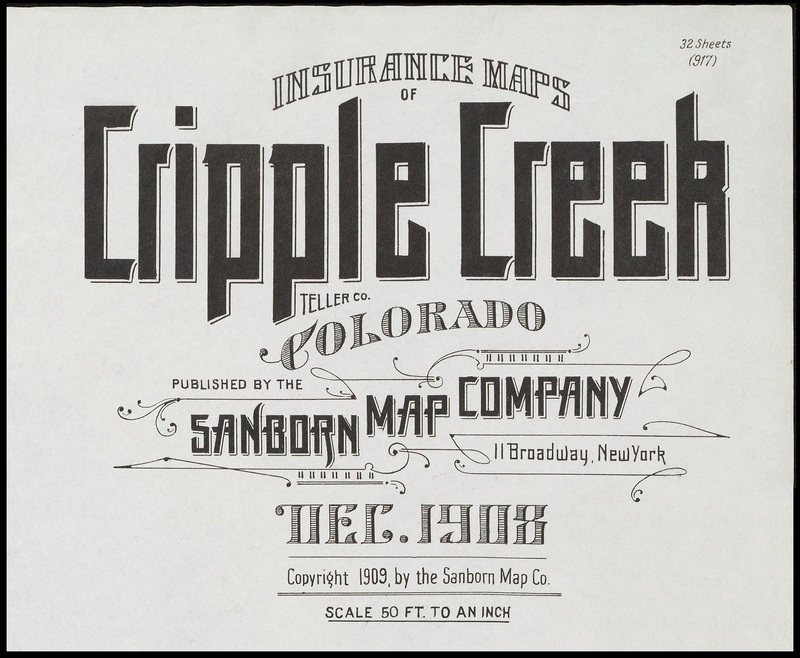 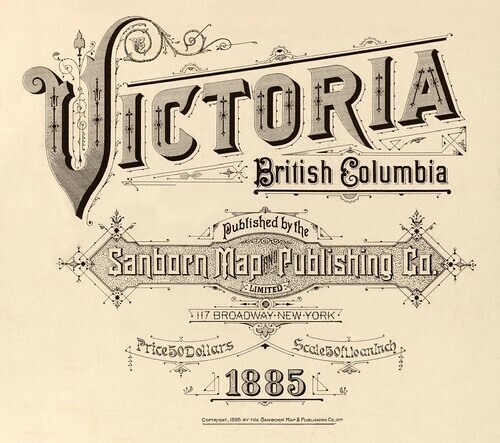 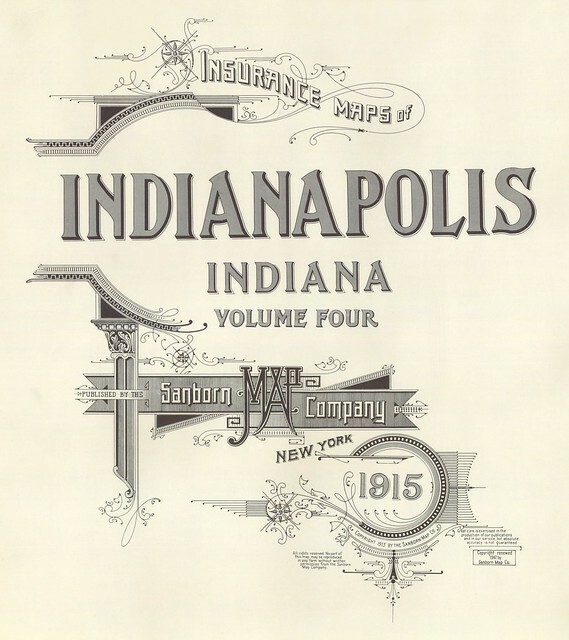 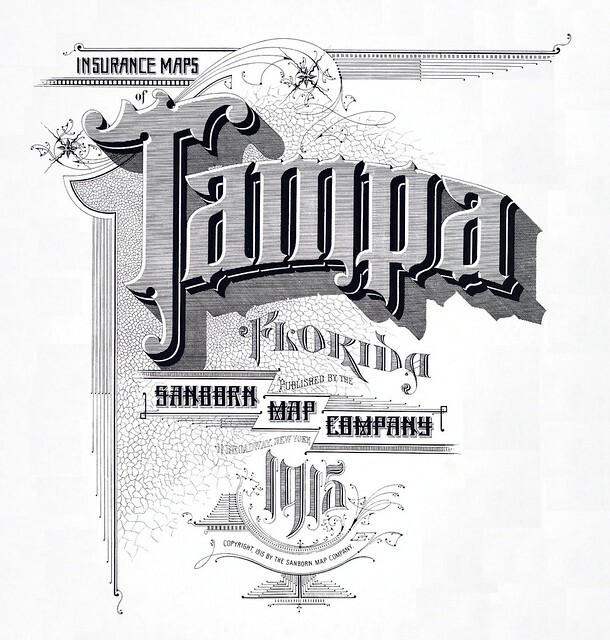 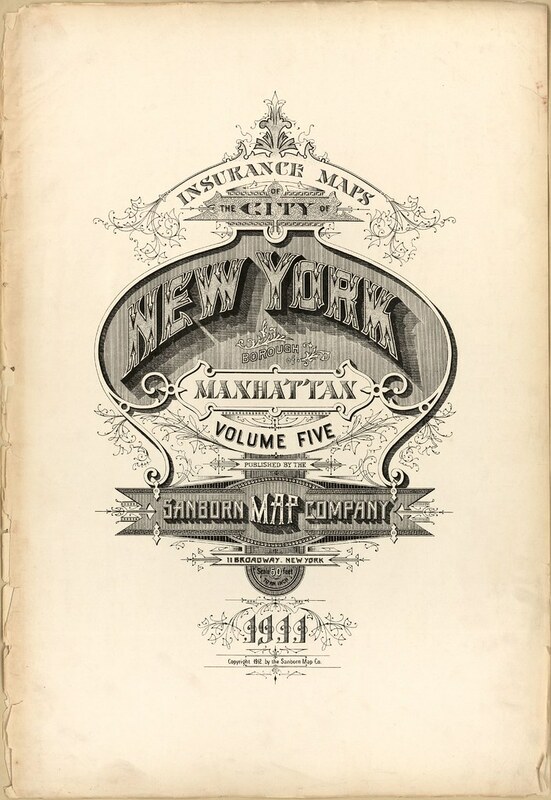 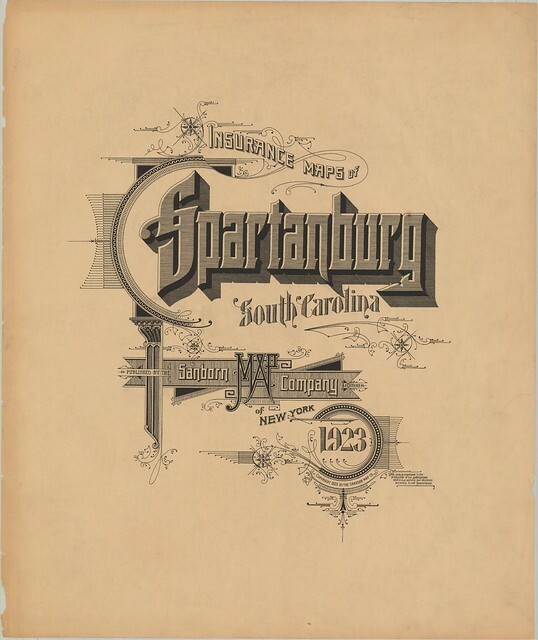 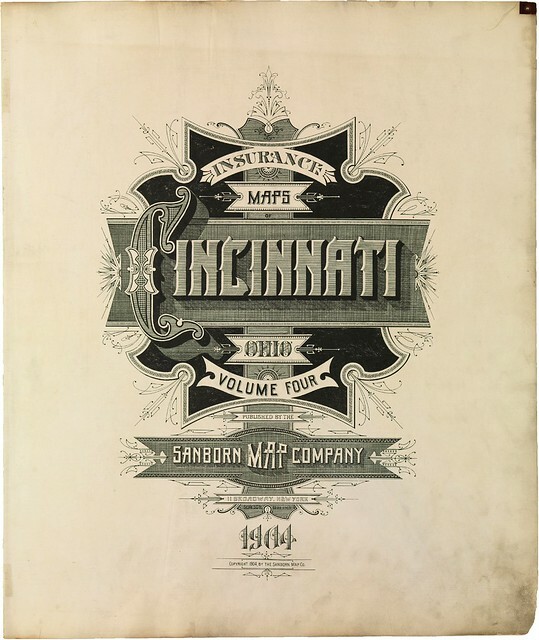 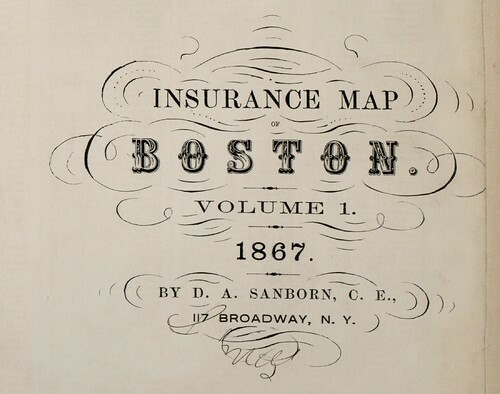 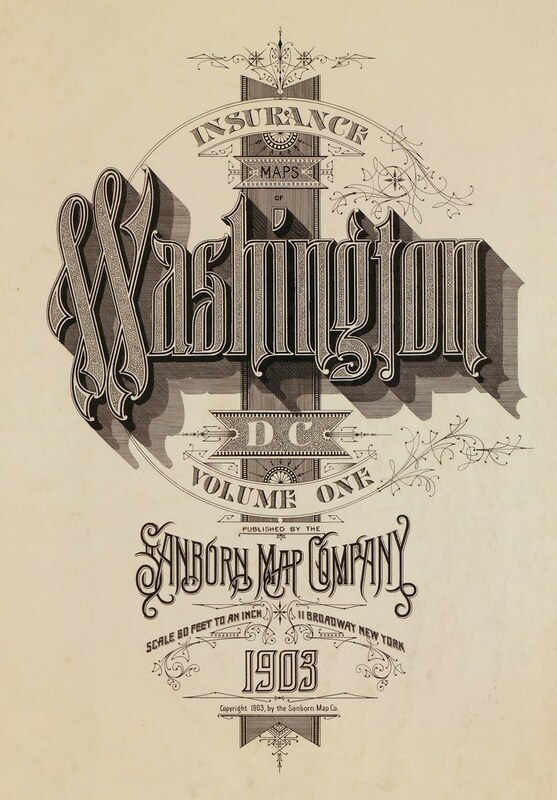 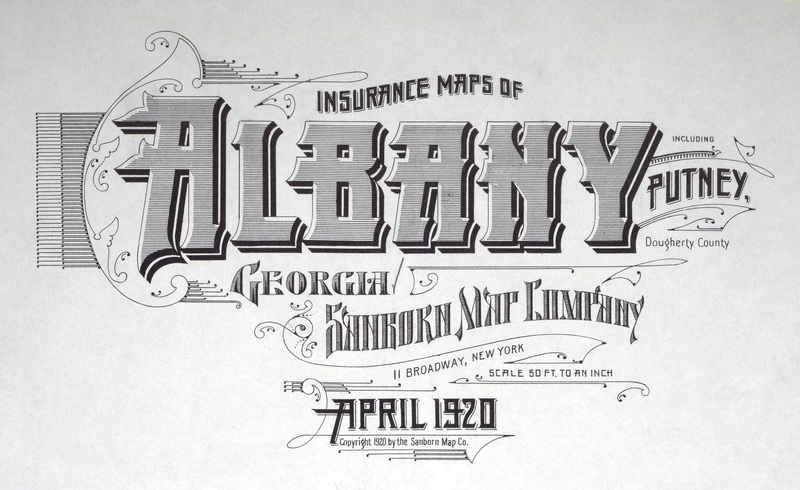 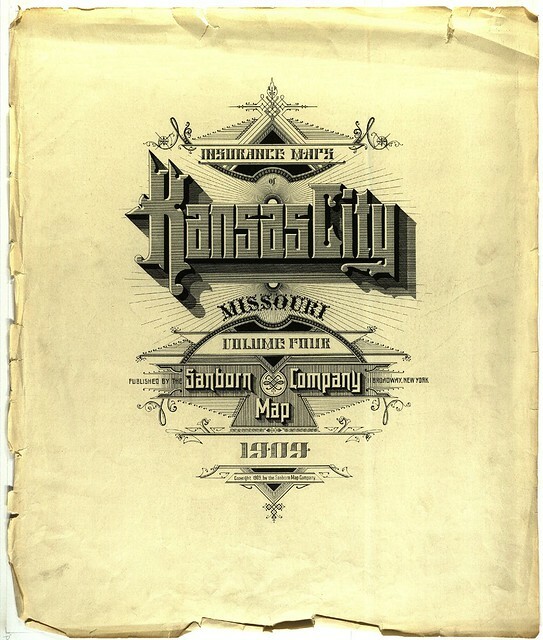 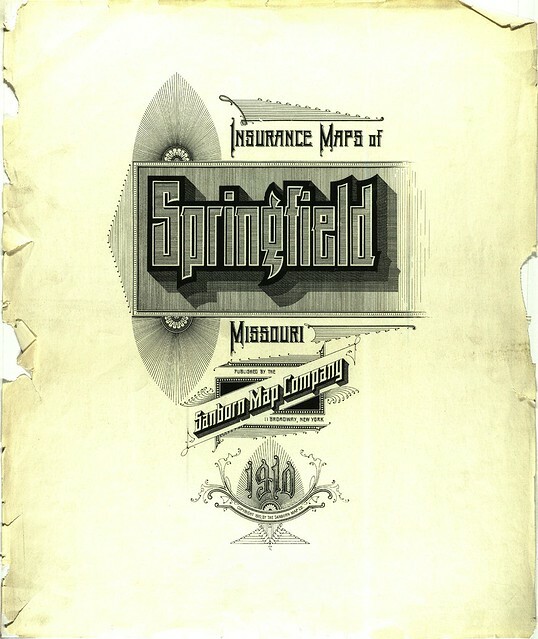 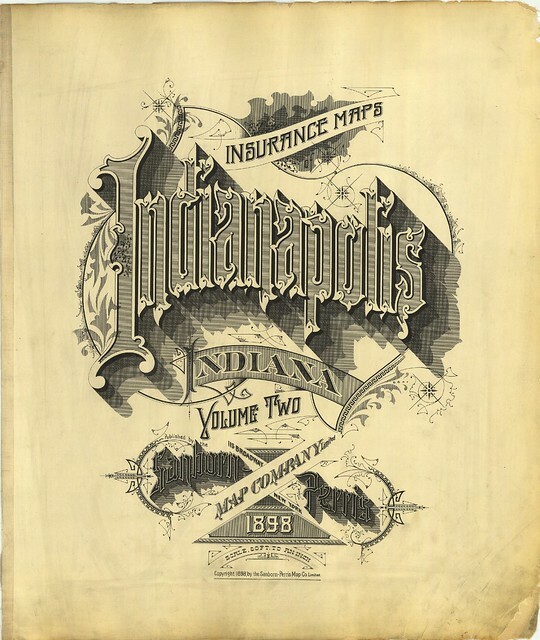 It is believed to include the earliest insurance maps published by Sanborn. 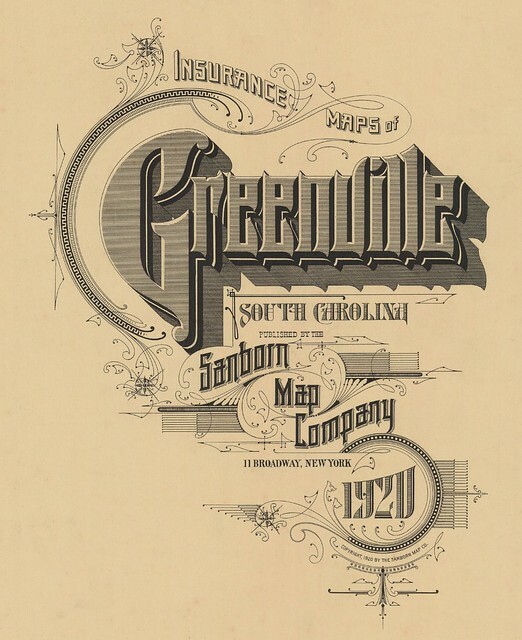 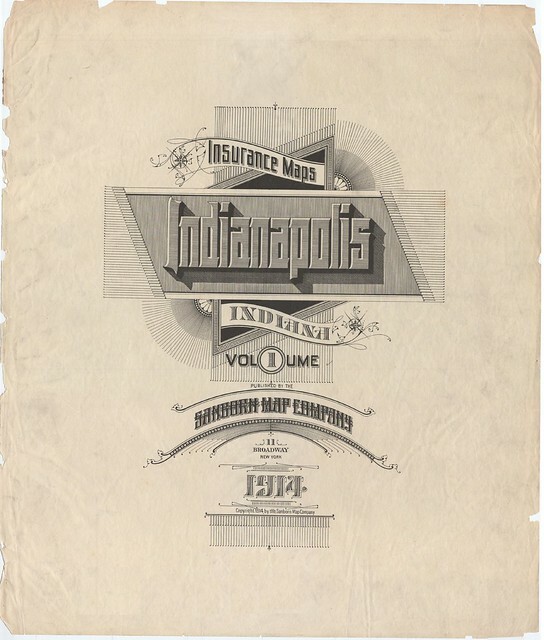 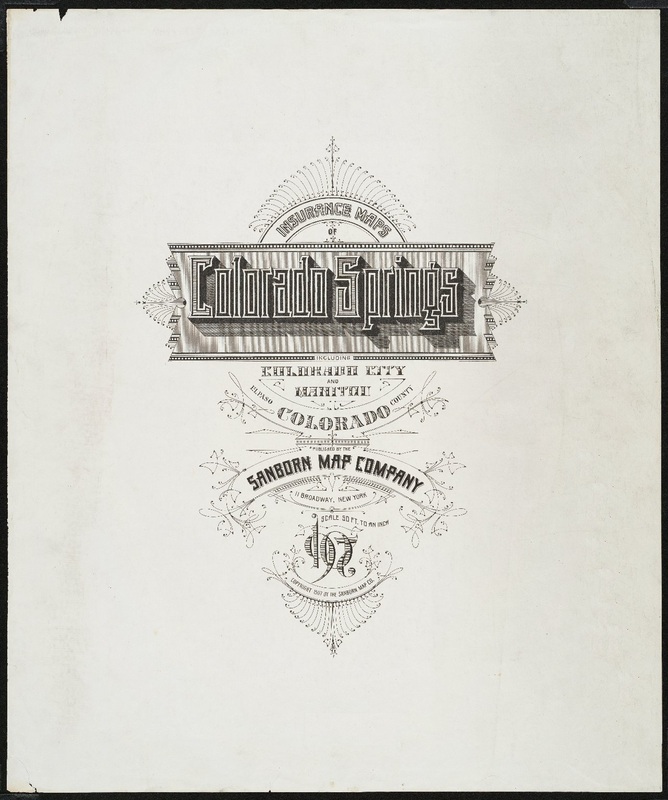 Sanborn's fire insurance enterprise produced not only excellent and detailed urban maps, but they also maintained an elegant aesthetic in the headings and legends on the maps themselves, and in the title pages of the (larger) city volumes. 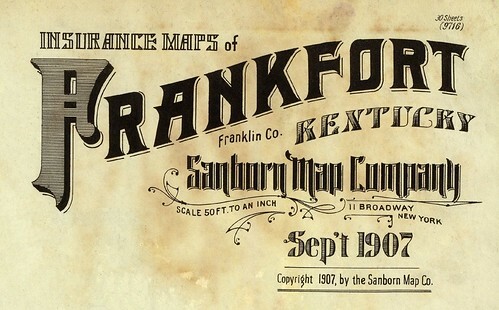 The ornamental flair is diverse - I don't think any of the examples above repeat type styles - and lends an air of individuality and refinement to each of the towns surveyed. 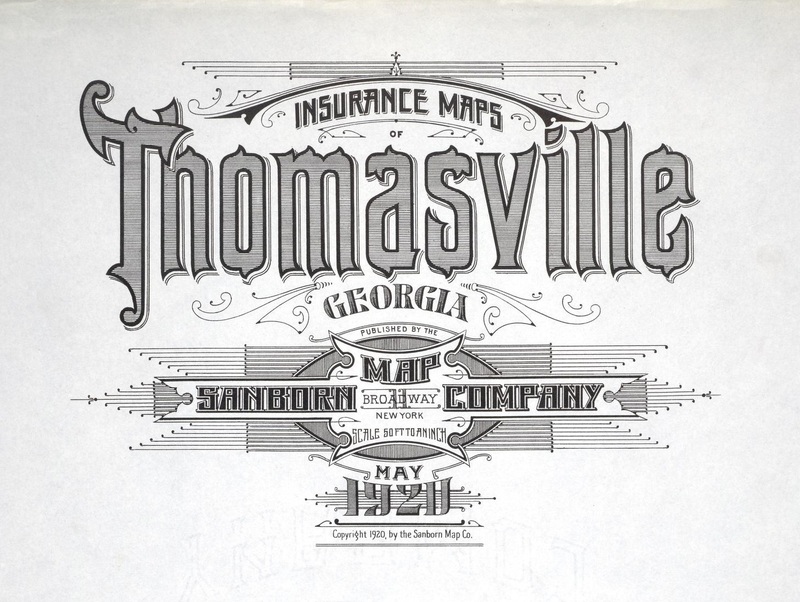 Although this sort of artistic embellishment was unlikely to have increased map sales on its own, it's a charming addition which will have perhaps made the purchasers feel a sense of pride and a little more secure about their own unique town. 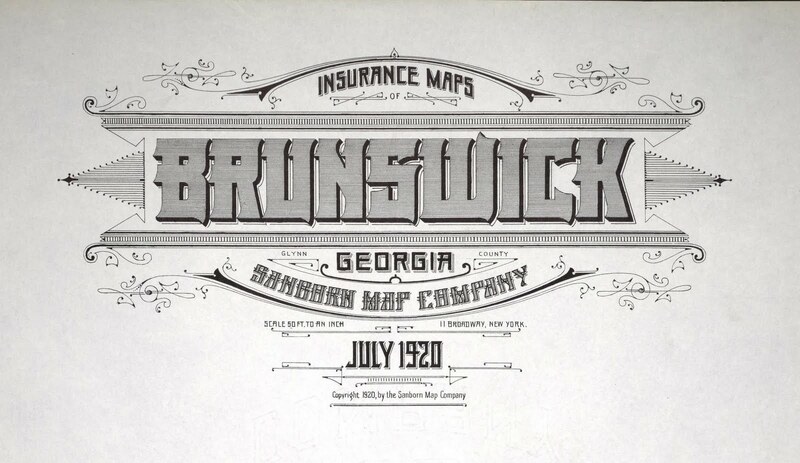 And it's certainly in keeping with the cartographic tradition of decorative trimmings. 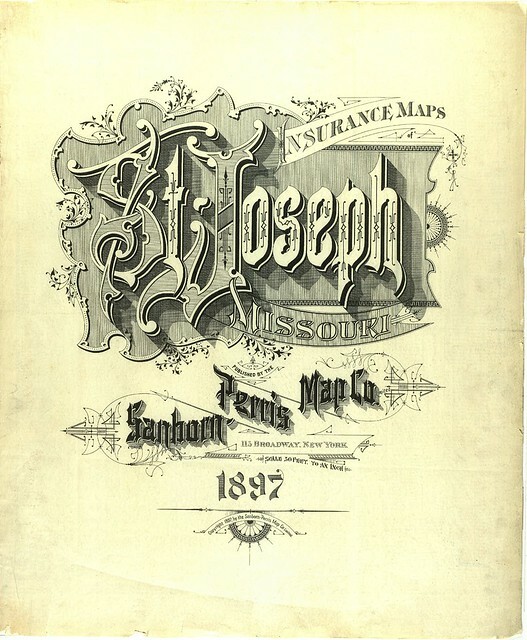 There are no comprehensive open portals to the Sanborn fire insurance maps. 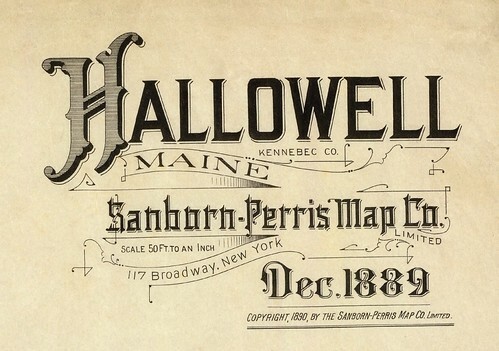 The images above were obtained from many sources, beginning with the links attached to the Wikipedia Sanborn Maps article. 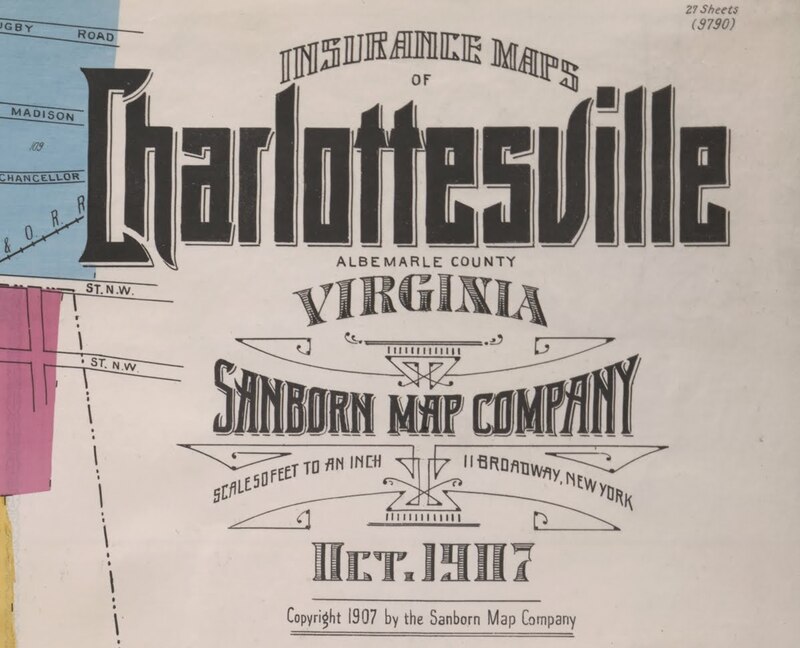 The Library of Congress has a fairly large site devoted to the subject, but there are only a minimal number of accessible maps. 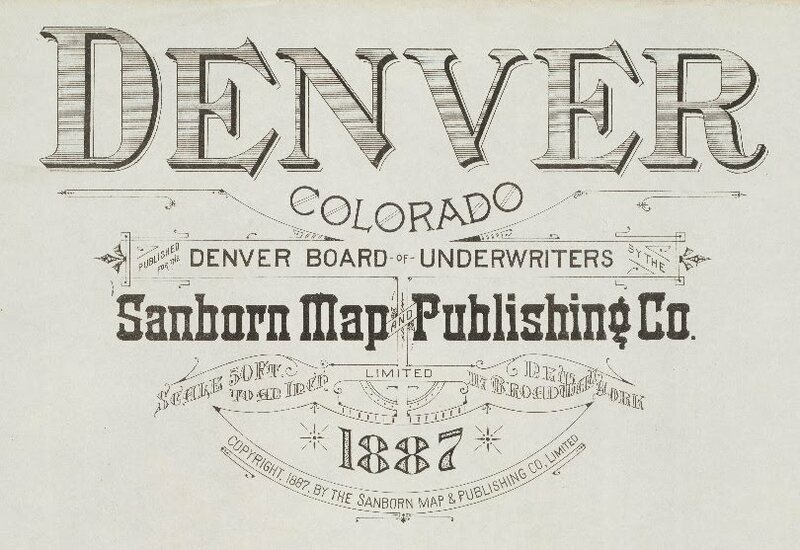 "ProQuest Information and Learning's Digital Sanborn Maps, 1867-1970 provides academic and public libraries digital access to more than 660,000 large-scale maps of more than 12,000 American towns and cities"
After the digital collection was posted, The Sanborn Library LLC informed us that even the terms "Sanborn" and "Sanborn Maps" are registered trademarks of The Sanborn Library, LLC and that we were required to insert trademark symbols on every occurrence of those words on our website, as well as a statement of that ownership on our main page. 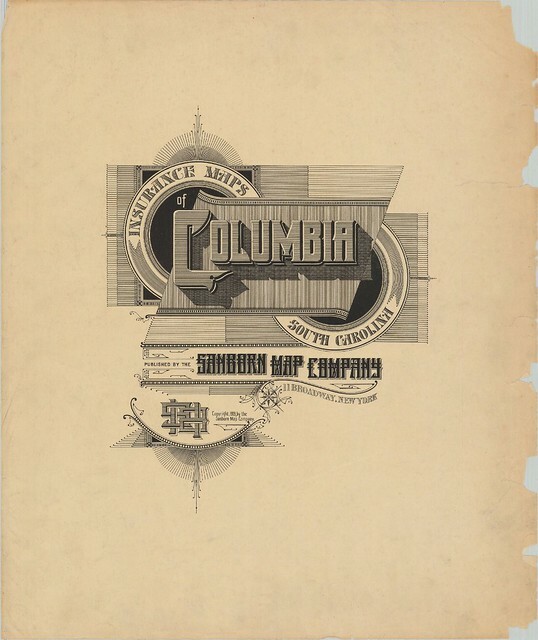 We complied." 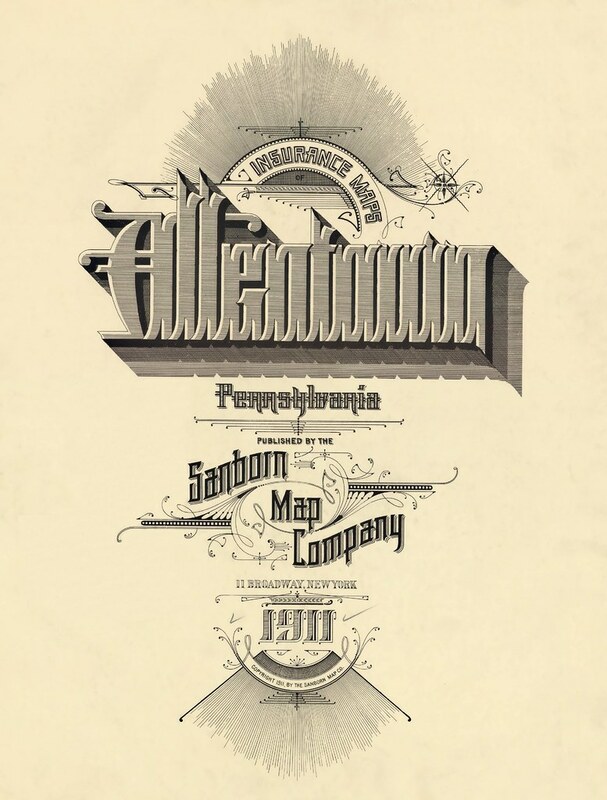 Sanborn still exists. 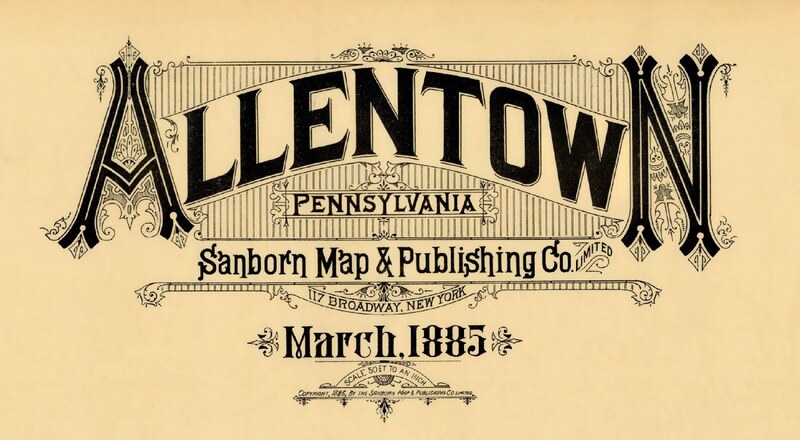 They don't follow BibliOdyssey, but maybe you should. 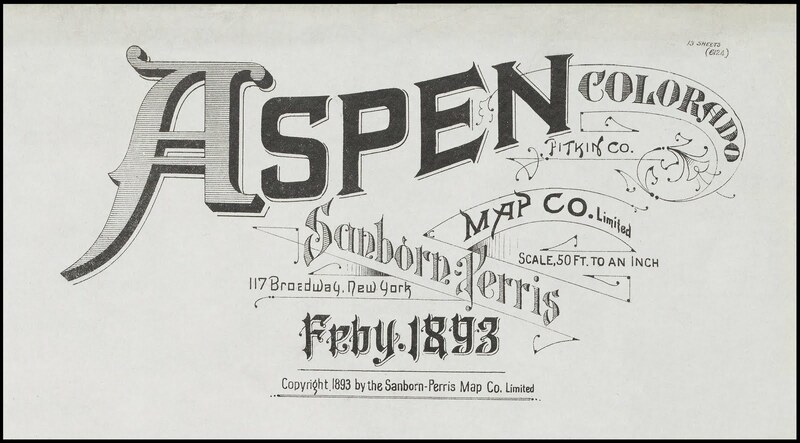 Previously in a general sense: calligraphy (another of the 'close enough is good enough' tags from the BibliOdyssey delicious bookmarks).